Engleski kroz tekstove - Napredno ucenje engleskog jezika! Engleski jezik kroz tekstove Korisno za početnike kao i za napredne studente. Već nakon savladanog srednji 1 kursa može se preći na lakše ili teže engleske tekstove uz pomoć rečnika. Uz tekstove smo dali izgovor jednog dela teksta (kliknite na flash), što dodatno omogućava pamćenje praktičnog engleskog jezika. 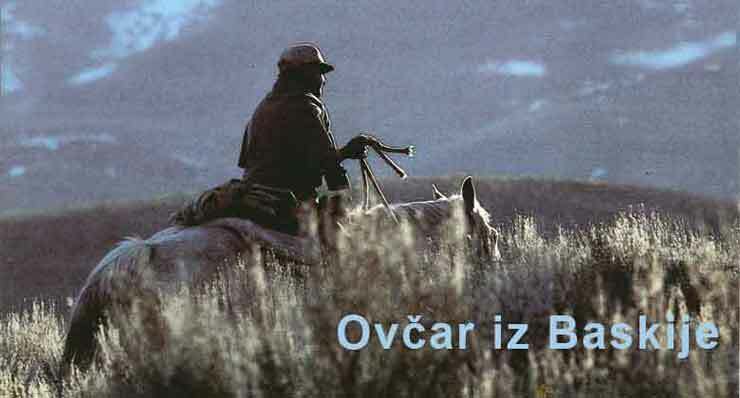 Tekstovi su iz knjige "American Land" obimnog dela o naseljavanju Američkog kontinenta. Uz tekstove je dat rečnik tako da ne morate otvarati svoj rečnik - sve je na jednom mestu! Naseljavanje indijanaca na američki kontinent! Where you find a people who believe that man and nature are indivisible... these societies will be very different from ours, as will be their towns, cities, and landscape. Gde nađete ljude koji veruju da su čovek i priroda nedeljivi, njihove zajednice će biti drugačije od naših kao i njihova naselja, gradovi, predeli. John Neihardt spent a great deal of time discussing the Indian tradition with Black Elk, the Sioux Holy Man. 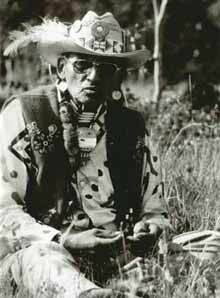 One day, after Black Elk told Neihardt about how the Sioux had received the sacred pipe which is present at almost all the tribe's ceremonial occasions, Black Elk remained silent for several minutes. Finally he turned to Neihardt and said: "This they tell, and whether it happened so or not I do not know; but if you think about it, you can see that it is true!" And so it is with the Indian understanding of the land and the coming of the people. Tonski zapis 650 kb Flash. Modem 56 kb/sec. 3 minuta. Audio 135 kb. Zemlja plemena Krou Modem 56 kb/sec. 0,5 min. Audio control 1,56 MB. Zemlja plemena Krou telefonski Modem 5 minuta. "The Crow country is a good country. 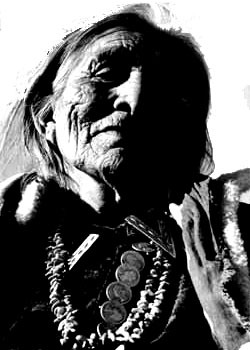 The Great Spirit put it exactly in the right place; while you are in it you fare well; whenever you are out of it, whichever way you travel, you fare worse..." And he went on to tell about its marvels: "The Crow country is exactly in the right place. It has snowy mountains and sunny plains, all kinds of climate and good things for every season. When the summer heats scorch the prairies, you can draw up under the mountains, where the air is sweet and cool, the grasses fresh, and the bright streams come tumbling out of the snowbanks. There you can hunt the elk, the deer, and the antelope, when their skins are fit for dressing; there you will find plenty of white bear and mountain sheep. In the autumn, when your horses are fat and strong from the mountain pastures, you can go into the plains and hunt the buffalo, or trap beaver on the streams. And when winter comes on, you can take shelter in the woody bottoms along the rivers; there you will find buffalo meat for yourselves, and cottonwood bark for your horses; or you may winter in Wind River Valley where there is salt weed in abundance." "Yes", Arapooish concluded, "the Crow country is exactly in the right place," and a flood of pleasant memories filled him to confirm his belief. Our species, for ever so long, has believed that we are strangers in the world and many people have looked to the heavens for a sign that some time, in some place, they would no longer be strangers in the land. And so long as people felt incomplete and sought to find a home they were not really created. The Indians also had this feeling but they had one great virtue which many of the other peoples lacked—they were able to listen to the Earth. And so when they came here they waited for instructions, believing that they would be guided to the rignt place. Pioniri svih vera, naravi i motivacija nagrnuli su se ka zapadu posle 1845 g. Prve pridošlice naišli su na indijance, pustinje i planine, i suočili su se sa njima direktno licem u lice. Napor je očvrsnuo pionire, konfrontacija je oblikovala njihove živote kao što je prikazano na ovom muralu Tomasa Harta Bentona. Slika levo:Đaci Mormonske škole u Utahu 1899 god. 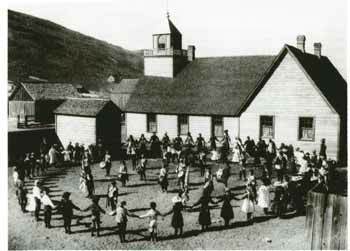 Remarkable similarities between Utah geography and that of the Holy Land further convinced Mormons that theirs was indeed a land of destiny for a chosen people. For instance, a sweet-water river pours out of a lake at Provo and carries its water to the Great Salt Lake, much as fresh water from the Sea of Galilee travels down to the briny Dead Sea by way of River Jordan. Like Biblical Palestine, much of Utah is desert. Experiences gained by living near dry wilderness opened up new insights into the Bible. Settlers in Israel today consult Old Testament writings to gain practical knowledge of their dry country, themselves, and the people who settled there before them. The Book of Mormon describes a people wandering in desert America long ago. High mountains in Utah give Mormon farmers an important economic advantage over Israeli settlers. Snows in the high ranges provide abundant meltwater to settlements planted near canyon openings. Mormons still believe that a great new settlement will one day rise at the site of Independence, Missouri. 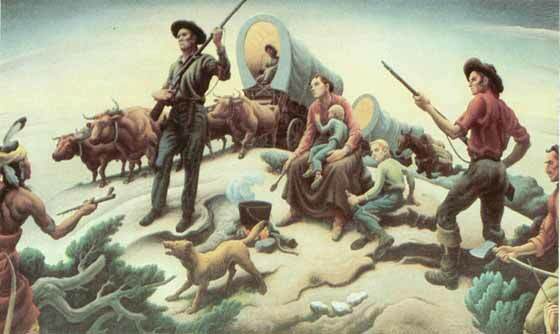 Yet their pioneer experiences lead Mormons to believe that in the Mountain West, too, God's Country is being found. The land—mountains, rivers, lakes, and valleys was sacred to generations before him. True to his heritage, Ernest Tootoosis, a Cree, is a dynamic religious leader and force in the American Indian ecumenical movement. Indijanac iz plemena Kri, Ernest Tutuzis, poslednjih decenija prošlog veka bio je glavni lider i pobornik očuvanja prirodne sredine. Nekoliko orginalnih tekstova engleskog jezika za naprednije studije. Baskija u španskim Pirinejima, život stočara. Priča iz 1977 god. Snow lingering on Nevada highlands at end of April—one month before Joaquin's story takes place—supplies moisture for range. Sheepherder, top, rides out early to "chouse 'em," keep track of flock. Numbered among the inhabitants of the land must be the singular people who seek a life for themselves where range animals and predators contend for survival. This story by William A. Douglass, recounts a decisive day in the life of a fictional, but nonetheless real, Basque sheepherder. It was late spring as Joaquin, a Basque sheepherder from Vizcaya in the Spanish Pyrenees, cinched his horse's saddle and whistled to his sheepdog Beltza. The first rays of morning sun splashed across the foothills of eastern Nevada. In the distance there was the tinkling of bells, the high-pitched cries of frantic young lambs and the deeper answering calls of ewes temporarily separated from their offspring. He shouted aurrera! to Beltza, and the dog flashed by him into the undergrowth. Shortly, the bleating of the lead ewes, startled by the nipping and barking, told Joaquin that the band would soon be under control. His task completed, Beltza stood to one side, panting slightly and eyeing Joaquin expectantly. Joaquin spoke with the dog about the plan for the day — rather than at him as the city dweller might address.a pet. His conversation with Beltza made him aware that he was once again adjusting to a sheepherder's life of solitude. He was pleased to note that his mental transition from the world of men was almost completed, for even after 12 years as a herder it was a painful process. Yet he was disturbed by the thought that it had been almost too easy. With each passing year it was becoming more difficult for him to leave the mountains in autumn than to enter them in the spring. The thought startled him, and he forced himself to recall his reactions to the pres¬ence of people during this year's lambing, shearing, and docking. The April lambing had left little time to reflect. The outfit was shorthanded and the weather had been treacherous. Weary from lack of sleep, Joaquin, the little Peruvian herder Manuel, and the boss and his wife had worked 'round the clock to save as many lambs as possible. Shearing was a more relaxed occasion, one of easy activity for the herder. The shearers were Mexicans who removed the fleeces in no-nonsense fashion, as they were paid on a piecework basis, and the whole operation seemed to be measured more in terms of seconds than minutes. Engaged in such thoughts, Joaquin realized that for some time he had been aware of his boss's approach. The boss, Michel, a French Basque, greeted him curtly with kaixo, hello. He was a large man, powerfully built, and with stamina and quickness that belied his 75 years. He had first come to the American West to herd sheep in 1921 and liked to belabor his favorite subject—life in the old days before pickup trucks made the herder's lot more tolerable. Joaquin's interest quickened when Michel spoke again. The Echeverrias had just sold their ranch, disgusted by their years of dispute with the Bureau of Land Management over their winter range rights on the public lands. The Iturrolas had sold their three sheep bands because of last year's severe coyote kills. They planned to convert to cattle. Michel decided that it was time to count the sheep, so Joaquin and Beltza bunched them tightly. 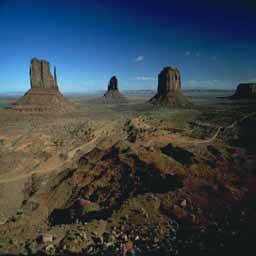 In the open, without benefit of corrals, it was a delicate and difficult task. Joaquin knew from a daily check of his 40 blacks and 30 belled sheep that he had not lost any stray bunches along the way, but there had been coyote kills. As the last animal flashed by, Michel's face contracted into a frown. Two ewes and 138 lambs were unaccounted for! He com¬plained loudly, almost argumentatively, that the situation was becoming impossible. Expenses were going up, grazing fees were increasing, lamb and wool prices were the same, and now this. Last year the outfit had lost over 500 animals to predators and this year promised to be worse. He could no longer meet his mortgage payments — the hell with it! That afternoon Joaquin was troubled as he trailed his sheep deeper into the moun¬tains. Preoccupied, he scarcely noticed the passage of time, and he was almost startled to see the familiar grove of cottonwoods that would be his base for the next few days. For the first time that he could remember, his own camp seemed forbidding to him. So he walked among the cottonwoods looking at the Picassoesque figures that earlier herders had serrated into the trunks. One tree in particular held his attention. Crisply deline¬ated in the soft bark was the surname Iturralde. Below it was carved a series of dates, 10 consecutive years, a living record of an annual sojourn in this grove of trees. The last entry was not numerical, but rather the simple statement Nunca mas, never again! Joaquin ran his fingertips over the rough scars of Iturralde's carvings, and then real¬ized that he had made a decision. He whis¬tled to Beltza and headed for camp to pre¬pare supper. Despite his uneasiness with town life and his lack of English, next fall— after his lambs were shipped—he would move to Elko and look for a job. It was over.